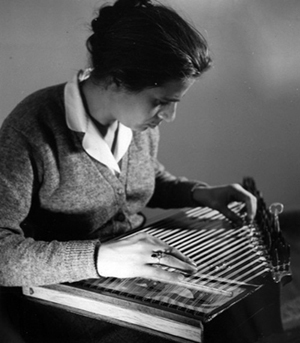 Readers in the English-speaking world will recognise Domna Samiou as the Greek equivalent of someone like Allan Lomax whose legendary work documenting (particularly early) African-American music, or even Luiz Heitor Corrêa de Azevedo the Brasilian journalist, musicologist and folklorist. But specialists in Greek ethos and musical history will think of her as much more; indeed a peer of Maria Callas who was not simply learned in the history of her Greek peoples, but a peerless performer of traditional Greek music. Her work in collecting, documenting and preserving what she found adds a significant chapter to the book of all Balkan music too. 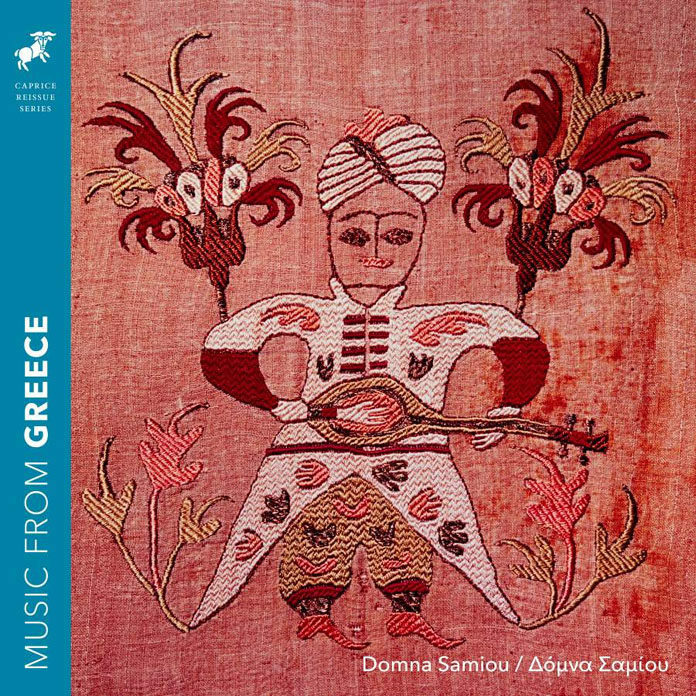 Now we can celebrate at least some of this in this magnificently-produced package Domna Samiou: Music from Greece. With their typically fine eye for detail and penchant for elegance and style, executive producer Ulf Björkman and his team at Sweden’s Caprice Records have created a memorable document in its own right. We may know that the Greeks were among the most celebrated Western civilisations from Homeric sources. But one of the things that this music by Miss Samiou teaches us is the sweeping interconnectedness of civilisations, from all of the branches of it that developed out of the Numbian one through Egypt and Mesopotamia, Greece, Rome and Arab – especially the breathtaking development that came during the rise of the Rashidun Caliphate (632 – 661 AD) and the Umayyad Caliphate (661 – 750 AD), and the Abbasid Caliphate during which time the greatest and most widespread cultural and artistic development and exchanges occurred until the Mongol invasions and the Siege of Baghdad in 1258 AD. However, a few contemporary scholars place the end of that Islamic Golden Age as late as the end of 15th to 16th centuries which would cover the Ottoman Empire that had a tremendous influence on life from the Mediterranean regions from modern Greece and the Italian peninsula to the Balkans and beyond. When Miss Samiou sings, accompanied by the array of musicians on this disc, we are first seduced backwards in time and then inwards, peering at ourselves as if in a mirror that reflects us in the ultimate continuum of life that has been preserved in the earth of a myriad of those layers of civilisations containing the teeming life on earth. We are telescoped into a time when this music celebrated life during the celebrations of the heroes and heroines of myth and legend; we become a part of the story that swirls like the proverbial circle of life around us. Miss Samiou, in her lonesome voice, soaring high into the rarefied realm, urged on by ululating bagpipes, lutes and lyres. We feel the rhythm of the earth beating in the fingers of the drummers beating their hand-drums, echoing in their tambourines and the splashes of cymbals. And the voices of all who sing of both myth and ordinary life mesmerise us into following wherever they will lead us. Through it all Miss Samiou reveals herself here as an artist of the first order, broadening out from the repertory of the Greek folk tradition for which she is best known. Her instrument is gorgeous: lustrous, precise and feather-light. 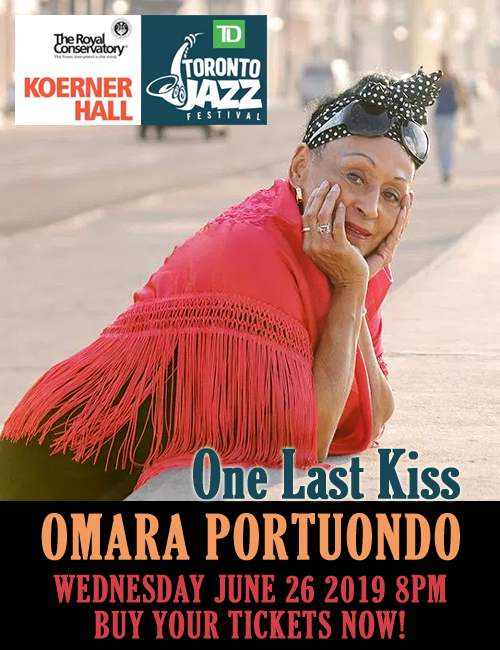 Her musicianship is also fierce as she digs into the expression of each word, brings ceaseless variety to soft dynamics and gives every phrase a very special grace. She is accompanied throughout by accomplished musicians who themselves bring a deeply interiorized reading to the material that complements Miss Samiou’s execution. All of this is captured in recorded sound that balances detail and warmth and eventually brings unexpurgated joy to the ear, whether you follow the Greek lyric or are simply in it for the sheer joy of the musical experience.